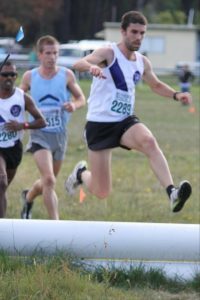 The White Train was back in full force on Saturday at Balnarring, with a record 28 MUAC runners lining up for round 2 of the XCR’11 season (previously 26). Combining this with the great times recorded, where 6 of the men made top 50, the squad has shown it is a force to be reckoned over the remaining weeks. 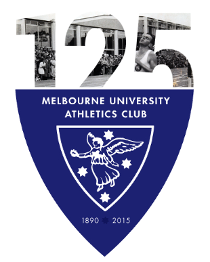 Women’s Division 1 saw Rosie Donegan over the line in 14th place with a time of 15.25 for the 4kms, an amazing achievement in a field where the top 3 places were claimed by Olympians (Kaila McKnight, Anna Thomson & Vic Mitchell). Julie McNamara’s 2nd run for the season, placing 24th with a time of 16.02, further demonstrates the great form she is in this year. Strong runs from Kate Scarlett & Ilka Barr enabled the team to score 6th place in the division. Stellar efforts too from Izzie Hartman, Sarah Castalino, Melissa Natasha & Laura Portaro in Women’s Division 2, who claimed 7th place. Meanwhile, Men’s Division 1 runner Adrian McGregor made it around the 8km course in lightning speed, clocking a time of 26.21 to claim 7th place overall. An effort worthy of bonus points for the Golden Shoe! This was backed up with another gutsy effort from crowd-favourite Zacca Newman, who posted a time of 27.19. Grant Morgan, Dave P, Nick Browne, Hamish Beaumont and Pete Shearman all finished in speedy top-50 times, showing the depth of the MUAC squad. The Men’s Division 3 team, hot on the heels of the Division 2 team, claimed third position, with less than 20 points separating them from the victory. A huge thanks to all those who volunteered on the day and to the kind hospitality of Dave P & Sarah Emons for offering their beach houses for the night. It sounds like everyone who stayed down in Blairgowrie had a great time, with Hamish ‘Hammerhead’ Beaumont making use of his lengthy limbs with some ‘planking’ demonstrations by means of entertainment. The next race is the 10km Flemington Road Race on Sunday 5th June.